Attorney Jacob P. Welch, now "of counsel", is the founder of Welch, Donlon & Czarples, PLLC. He was born in 1953, was raised in Corning, New York, surrounded by a family of lawyers. His father, Vincent J. Welch, and his namesake uncle, Jacob G. Welch, began a law practice in Corning shortly following World War II. The Welch attorneys have enjoyed a reputation of providing trusted legal services to the local community for over a half century. Since starting in practice in 1980, Mr. Welch has focused his entire legal career in trial work. He has exhibited consistent and excellent legal skills. He has been rated “high to very high” by his counterparts in Martindale-Hubble, the most widely known book published about lawyers and their ratings. In Mr. Welch’sthirty plus years as a personal injury attorney he has also developed the respect of many insurance adjusters, as well as defense attorneys. This is oftentimes critical in maximizing settlement of your case. Settlement is often preferred as opposed to taking your case fully through the risk of trial. If trial is required, however, you will find Mr. Welch to be a well prepared and experienced advocate, willing to stand up for your rights. As a tribute to his competitive spirit Mr. Welch took up running hurdles (as he had in high school and college) and obtained the Gold Medal in the NYS Empire Games for his age class in 2004, 2005 and 2006. In 2007 he competed in the State Games of America, a national competition, where he again placed first and took the gold. Mr. Welch has a work hard/play hard approach to life. He is also a dedicated father/family man who deeply enjoys personal interaction, work on charitable boards, having a good laugh and participating in local hunting and fishing sports. 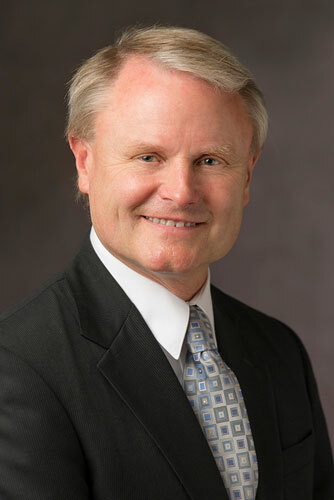 After decades of unbroken service to his clients, Mr. Welch maintains a role with the firm in an "of counsel" capacity. Next Article Michael Donlon, Esq.